Sunday marked the biggest night of the year for the music industry’s finest! ‘Twas the 41st Annual American Music Awards, of course! The evening was bursting with wild performances by crazy gals like Miley Cyrus and Lady Gaga, not to mention big wins by Rihanna for the first-ever Icon award and Taylor Swift for the biggest honor of Artist of the Year (shocker)! All-in-all, the show had our eyes glued to the TV screen from start to finish. But we were mostly obsessed with the fabulous fashions littering the red carpet and stage, especially when it came to the specs and sunnies! 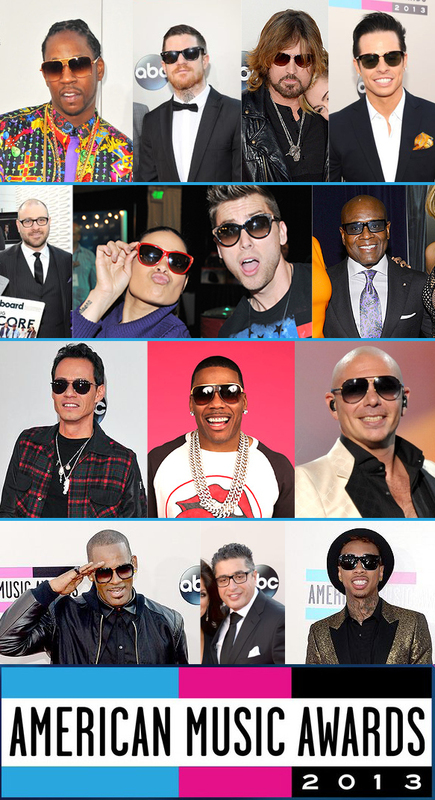 The sky was the limit for A-listers and their eyewear. All kinds of silhouettes, like modernized aviators, sleek rectangles, wayfarers, cat-eyes, oversized square and Clubmaster-inspired shapes, were trending. To boot, a slick color palette—of mainly jet black, with pops of red, orange, and metallic silver and gold—as well as look-at-me temple embellishments and browline accents ran the gamut. Check out what frames some of our fave stars were sporting at the event below!